Formulated from ayurvedic ingredients, the Vaporizing Rub offered by us is ideal to be used by the people belonging to different age groups. The Vaporizing Rub that we bring forth is properly packed in order to retain its purity by keeping it away from dust and other contaminants. : Cough & Cold are common problems and are caused by various factors like cold weather, humid weather, infection, allergies, etc. Available in 100 gm pack "Sofskin" Brand Chest Vaporizing Rub for cold and chest congestion. Also available in USA in dollar stores and super markets. We have our own Branch in New York for distributing in USA. We are unique supplier of Vaporizing Rub. Being a leader in the industry, we are engaged in offering a qualitative range of ointments to our customers. 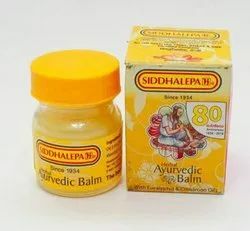 Other Details: An ayurvedic propritry medicine Effective in headache cold bodyache & join paint. We are remarkable entity, engaged in offering superior quality Ayurvedic Vaporizing Cold Rub Ceam. Beneficial in cough, common clod, headache. Spalogy Hydrating & Healing rub is amazing for dry and parched skin. It has the ability to hydrate, heal, and keep skin in a healthy and balanced state . It is great for soothing and healing skin that's irritated or reddened by sun exposure or excessive dryness . Keeping in mind the precise requirements of our patrons, we are highly committed towards offering a highly effective Decongestant Vaporizing Rub (for colds). 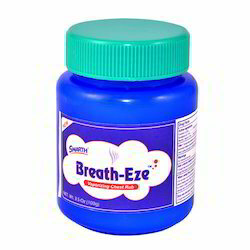 This type of rub is used for curing severe cold, congestion and headache.